Great location for walking to all attractions.Lake front boating attractions and all tour departures .No need for using the car when going out for dinner at the many cafes or restaurants. These suit all tastes from pizza to Indian , spanish , kiwi basic .Five minute walk or ten if very leisurely and all flat terrain. Situated close to the local butcher shop, gym .garage. Cottage sleeps 4 comfortably as sofa bed is really a king single when flattened out so if a couple want to use that would need to be on the petite side! clothes dryer by arangement in sleepout. Log burner for those chilly nights after the sun has gone down heating the whole cottage. Variety of books available for your holiday reading. Nice little cozy place very close to town. This place felt very homely, the beds were very nice and it was just a short walk in to town. Very cosy and warm house. 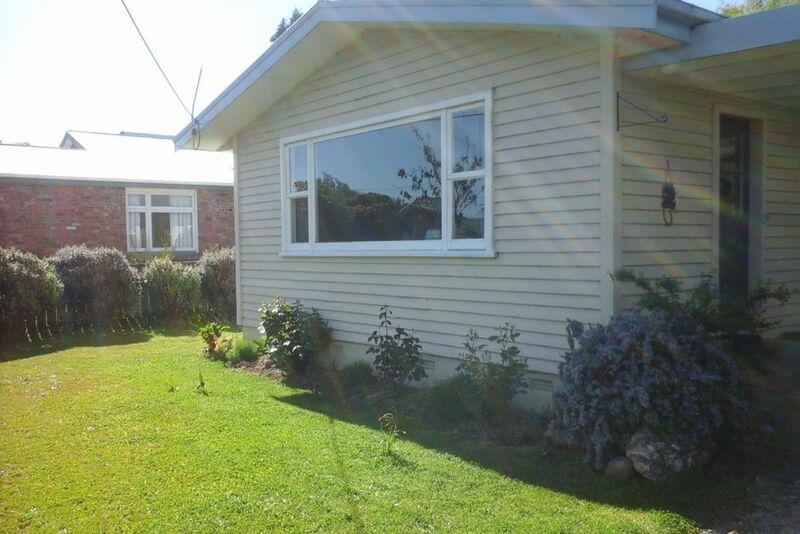 A clean, tidy and spacious house well located in Te Anau. If you want modern, then look elsewhere, but this is a very comfortable Kiwi house. A step back into my past. What a delightful, spotlessly clean holiday home. Everything we could want catered for. Our hostess even called around to check we knew how to use the fire. Fire blazing! Bliss!! The cottage was ideally situated and provided exactly the accommodation we required. The fact that it was a more traditional form of New Zealand home added character to our visit and gave us a genuine living experience we wouldn't have otherwise managed on our trip. Thank you! walk the walks,pack a picnic to enjoy the rural scenery.Great photo opportunities.
. Operaters offer lunch options on these trips.well worth it. Glow worm caves a must to see .